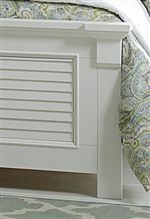 Beautifully crafted from solid pine and poplar this five drawer chest was designed with a cozy cottage style. 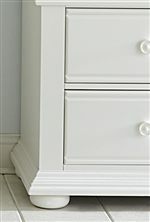 Finished in an oyster white color brightens your room for a warm and inviting feeling. 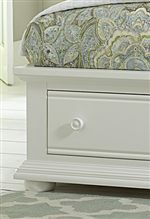 Wooden knob hardware is paired with beaded moulding framed and rounded bun feet. With five drawers you can neatly tuck away all of your clothing, linens and more while adding style to your home. The Summer House Cottage 5 Drawer Chest by Liberty Furniture at Novello Home Furnishings in the Berlin, Barre, Montpelier, VT area. Product availability may vary. Contact us for the most current availability on this product. 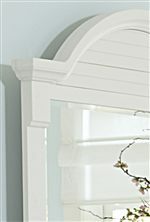 The Summer House collection is a great option if you are looking for Transitional Cottage furniture in the Berlin, Barre, Montpelier, VT area. Browse other items in the Summer House collection from Novello Home Furnishings in the Berlin, Barre, Montpelier, VT area.